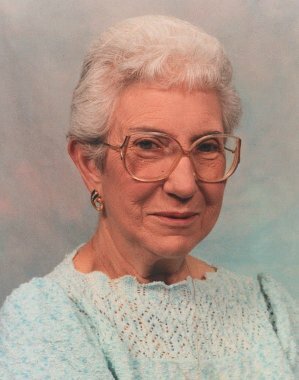 Molly Mildred Myers, 91, of Old Fort, OH passed away on Tuesday, July 24, 2018 at Elmwood Care Center of Fremont. She was born April 13, 1927 in Carey, OH to William and Emma (Lortz) Kummerer. Molly married Robert William Myers, Sr. on May 25, 1946 and he preceded her in death on December 20, 1995. She was a cook at Old Fort Schools for twenty years and retired in 1987. Molly enjoyed bus trips, baking and catering. Molly is survived by her children, Robert W. (Chris) Myers, Jr. and Carol Jean Sklar both of Tiffin, OH, Richard (Brenda) Myers and Connie (Randy) Ardery both of Fremont, OH and Cheryl Ann (Tom) Willey, Clyde, OH; grandchildren, Jennifer Myers, Amy Zoller, Brent, Chad and Brian “Moe” Myers, Robbie and Chrissy Sklar, Tracy Foster, Tiffany Middleton, Matthew Willey, Jeffrey, Shane and Jason Randol; many great grandchildren. She was preceded in death by her parents; husband, Robert William Myers, Sr.; siblings, Willis, Clarence, Virgil and Caroline Kummerer and Edna Bowsher. Visitation: Friday from 4 – 8 pm at Horvath Hanes Funeral Home, 211 N. Broadway St, Green Springs, OH. Service: Saturday, July 28, 2018, 10:00 am at the funeral home with Pastor Marc Quinter officiating. So sorry for the loss of Aunt Midge and your mom. She was such a wonderful person. Our thoughts and prayers are with you all.